SK Olympics – The Last Kiss (2006) – Wisconsin, USA – Screenkicker! Remember how I wrote after Table 9 Mutant’s review of Dawn of the Dead that I didn’t know Wisconsin was a real place? Guess what? Its only another Wisconsin based entry to the blogathon! This one comes from Josh of JJames Reviews a blog with fantastic reviews and excellent coverage of the Minnesota Film Festival. Take it away Josh. I am not originally from Madison, Wisconsin, but I did earn a Bachelor of Arts from its university and was born nearby, in the Milwaukee area. Which means The Last Kiss (2006) is a fitting submission to Mikey’s Olympic Competition. A sometimes muddled and often over-complicated relationship drama that tries to capture the complexities of accepting responsibility, The Last Kiss is ambitious, indeed too ambitious. In it, many couples face crises, so many, in fact, that none of them receive the attention they deserve. The central couple, Michael (Zach Braff) and Jenna (Jacinda Barrett), has recently learned they’re expecting their first child, a fact that prompts Jenna’s parents to pressure them to finally wed. Michael, however, is afraid of commitment and thereby grows increasingly uncomfortable with settling down, so much so that he finds himself sexually tempted by an effervescent, sultry and none-too-subtle, college student named Kim (Rachel Bilson). Kim, unsurprisingly, drives a wedge between Michael and Jenna, a wedge the former foolishly worsens in a series of ill-advised, emotion-based decisions. When his conflict with Jenna explodes, as it surely must, Michael does what he can to regain her trust, including, but not limited to, consulting her father, Stephen (Tom Wilkinson). That is already enough material for a 100-minute film. Unfortunately, The Last Kiss has more to offer. Jenna’s parents, Stephen and Anna (Blythe Danner), face a crossroads of their own, while also being involved in their daughter’s troubles. 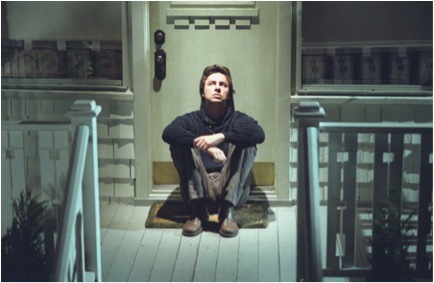 Chris (Casey Affleck), Michael’s best friend, is grappling with the emotional fallout of recently leaving his family, while simultaneously being in conflict with, at various points, both Jenna and Michael. Then, there is Kim, who does herself no favors by being shortsighted, but who also becomes intimately embroiled in the troubles of veritable strangers much older than she. Even that still isn’t a comprehensive list, however. Also in crisis, for various reasons, are Izzy (Michael Weston), Arianna (Marley Shelton), Kenny (Eric Christian Olson), and more. In the end, The Last Kiss cannot support so many characters and subplots. Only Michael is reasonably developed. The rest are archetypes, a fact that is especially shameful in the case of the female characters. Kim is a stereotype of irresponsible youth, and Jenna is . . . well . . . Jenna is so under-written that I’m not sure she has any noticeable traits. And because the characters don’t resonate, the film doesn’t either. Which is not to say The Last Kiss is terrible. There is emotional potential in the story, and the performances (especially Tom Wilkinson’s) are strong. Plus, director Tony Goldwyn and writer Paul Haggis’ ending is spectacular; suffice to say things are not neatly resolved, a decision that works well given the film’s themes. The Last Kiss, then, is neither great nor terrible, but rather middling – entertaining but average. Thanks for the excellent entry Josh. Wisconsin seems like a fascinating place. Between zombies and Zach Braff that’s two Zs that need to be shot in the head. We’re nearly at the finish line folks, only a couple more entries and then it’s all over. Tune in next time for more displays of brilliance. HAHAH! “Between zombies and Zach Braff that’s two z’s that need to be shot in the head.” Brilliant! Great review Josh. . . James. Erg! I’ve been referring to you as “James” for so long but I guess I have to actually call you by your first name. Or just maintain what I have been doing. . . .I’m feeling kinda conflicted here. . . .
Needless to say though, I’m not as conflicted about watching this film. I know exactly what it’ll be like. And it doesn’t much interest me. But the setting should, Tom. See it for Madison. 🙂 And then go to Madison. It’s pretty awesome. That’s the worst, when films don’t live up to their potential! Zach Braff is also the worst. Nice write-up! I feel a bit gross about him funding his new film via Kickstarter when he could probably easily self-fund it rather than asking for money from normal people. That’s pretty much it though, I did really enjoy Garden State! Nice review JOSH! I actually never saw this one, but now I am glad I didn’t although it sounds like it could be a quick fun watch. Just for the sake of at least seeing Wisconsin accurately represented since I have never been there myself. Not all of Wisconsin, mind you. Just Madison. 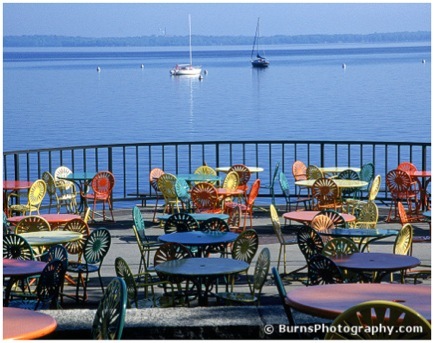 But it does make Madison pretty striking. As to the movie . . . no you’re not missing a masterpiece or anything. It has moments that work, but it also has moments that don’t. I’m going to quote this like everyone else has: “Between zombies and Zach Braff that’s two Zs that need to be shot in the head.” – Hahaha! You crack me up, Mikey. Maybe not. And the female characters are certainly the biggest issue, though not the only one. But Madison? Madison is awesome here.